How Much Should Santa Make? How much do you think Santa’s income should be? 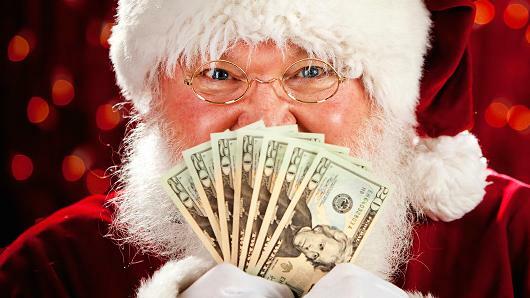 This year, it is estimated that Santa’s yearly income should be around $140,000. According to a survey taken, 29% of people think that he should make around 1.8 billion dollars, which is an insanely a lot of money for just having elves do all the work and reindeers pulling him around. While another 29% thinks he should make nothing at all. As well as others which is 27% of the poll think he should make around 101k to 140k. The last 6% thinks he should make $500. How much do you think he should make? The Christmas SPIRIT Foundation will send 17,000 trees to the US Service Members. The Christmas SPIRIT Foundation will deliver live trees to over 60 military bases to get them “suited” for christmas. 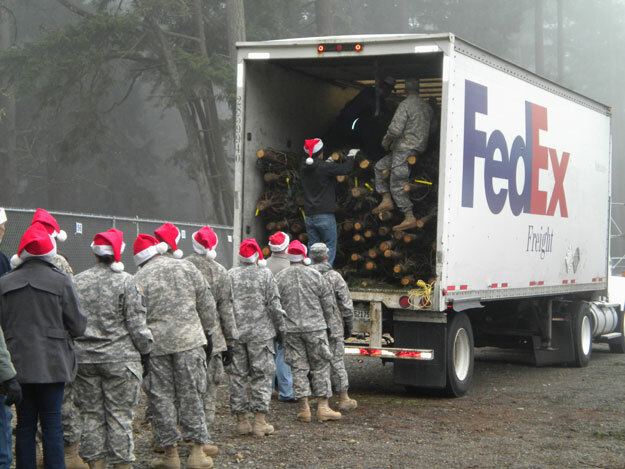 The organization collects the trees and then, with the help of FedEx, delivers them to the military bases. The troops in our country will be getting the trees. We got a chance to go behind the scenes of the choir preparing for their big show Tuesday night. The show took place 7:00-8:00. When we walked into there practice they were all on risers. They were all very friendly, even the director. Some people we noticed were: Arianne, Jasmine, Jordin, Ryan, Danika, Simone, Sara, Autumn, Mari, Olivia. q: Why are you in choir? A: Because I like to sing. Q:What do the songs mean to you? A:That jesus was born and we should appreciate what he has done for us. Q:What songs did you sing? A:Silent night,carol of the bells,wonderful time of the year,jingle bells. The true meaning of Christmas is the birth of Jesus. found a Manger and Mary gave birth on Hay. they fled and and Mary gave baby jesus a kiss. Jesus is part of the trinity! FATHER THE SON AND THE HOLY-SPIRIT. Jesus was in Mary’s Womb but she was a virgin. Do you know why? because god commanded the holy spirit to make Mary pregnant and then Jesus was born. 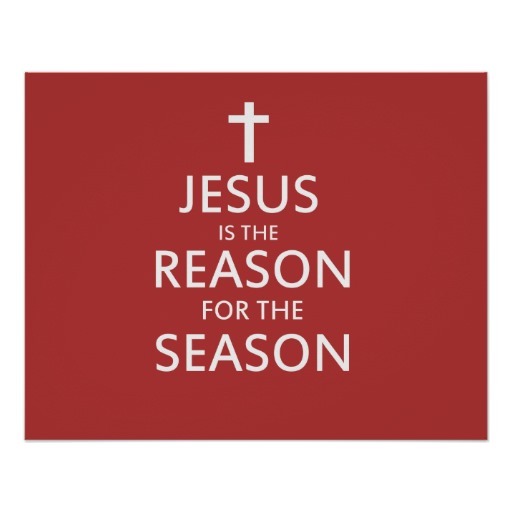 JESUS IS THE TRUE MEANING OF CHRISTMAS. Christmas is coming!! And so are ugly christmas sweaters. Yep, ‘Ugly’ Christmas sweaters! Well recently in the news, the NFL and the NHL websites are selling ugly christmas sweaters. And they look really ‘Ugly’!! No, they actually look pretty cool.The company Forever Collectibles came up with this idea and started distributing sweaters for all major professional sports and even college teams. 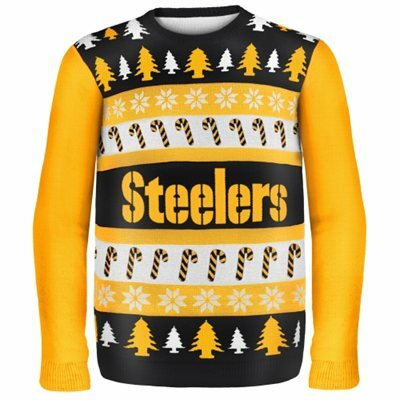 The most sold out sweater is the football team the Pittsburgh Steelers because Pittsburgh loves to dress up to support and encourage the team. So if you want to support your favorite team in a Christmas themed way, buy a Ugly Christmas Sweater. There is a big Seattle Seahawks, Mariners, Huskies and Sonics themed light display in Kirkland, Washington. Anthony Mish was the one who put the light display up. He started to put lights on his house on November 1st. The light display is super easy to see and is pretty cool to look at. There is a big Seahawks fan logo on his roof. Anthony has hung 150,000 lights so far. 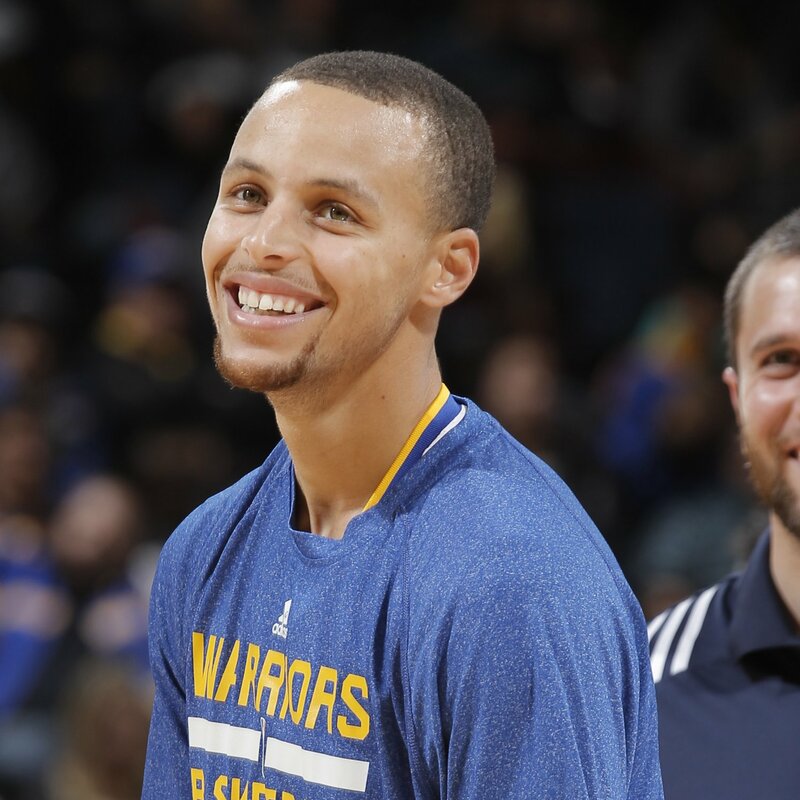 Steph Curry is helping to fight malaria by donating bed-nets to Africa to protect the Africans from the deadly disease that has killed so many. For every 3-pointer that he makes he is donating 3 bed-nets! During his first two seasons doing the challenge, he has donated 1,599 bed-nets to protect families in Africa! During this season he has now made 261 3-pointers and he has donated 783 bed-nets to help protect families from malaria. Christmas time is coming near. That could only mean… Christmas movies are here! Personally, Christmas movies are one of my favorite types of movies. There are tons of good Christmas movies and I could go on and on about them; but I have decided to narrow them down to my top three favorites. 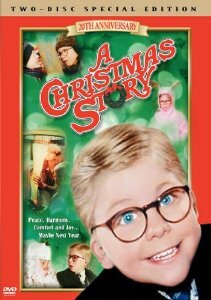 My third favorite Christmas movie is ‘A Christmas Story.’ The movie is about a kid named Ralphie and his want for a BB gun for Christmas. His mother was not very fond of her son with a BB gun. Towards the end of the movie, his dad ends up getting him the gun. You should watch this movie because it is funny, and a great movie to watch with your family during the Christmas season. My second favorite Christmas movie is ‘Home Alone. 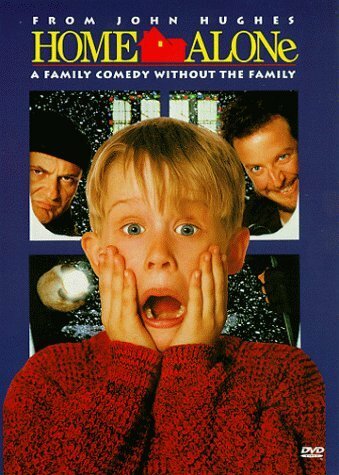 Home Alone is about a little kid who is home alone and fends off a few criminals. His family has left on a trip to Paris and had forgotten him at home. When they realize this, they are not able to reschedule a flight back home due to crowded flights. Two robbers attempt to break into the house but the kid sets up many traps to fend them off. This humorous movie is a must-watch. Elf is my favorite Christmas movie. In my opinion, Elf is one of the best movies of all time. Will Ferrel plays as Buddy, the Elf. Buddy is a human who was raised by elves. After he leaves the North Pole, he searches for his real father, who did not seem to like Buddy at first. They grow a closer relationship as the movie progresses. Towards the end, Santa’s sleigh breaks down in Central Park and Buddy tries to help him. Enough ‘Christmas Spirit’ was gained so that the sleigh was able to run again. 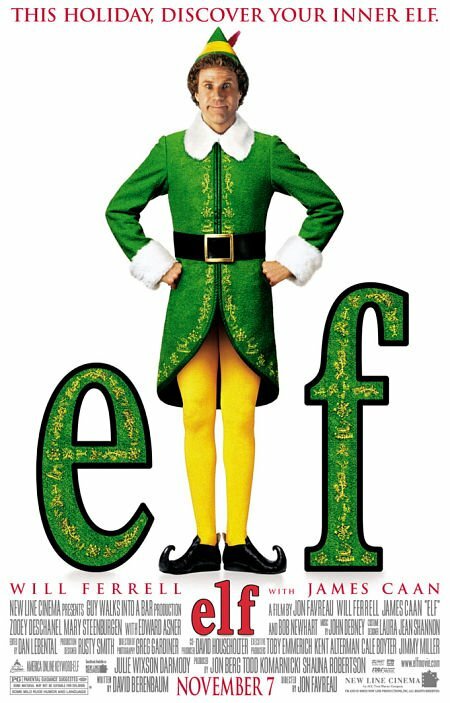 Elf is a great movie to watch with your family and will cause laughter all over. Well there it is, my top three favorite Christmas movies. I hope you enjoy watching them as much as I did! Last week, we had our Christmas chapel. The choir, band, and strings all played. Veronica, Taimane, and I (who are all in Journalism together) took part in it. We play in Strings. It’s very hard to perform in front of the whole school. I was nervous when I got on stage, but got through it. I was definitely scared because we had to wear something nice, but my dad didn’t get the email, so I wore a collared shirt. The Christmas chapel was all for Jesus. Christmas is about Jesus’ birth. We play our instruments and sing for His Glory. The choir sang a song called Winter Song. It sounded really tough to sing. It sounded hard because they sang really fast with a lot of mixed-up words. They sang a lot of good songs, Most Wonderful Time of the Year, Jingle Bells, Drummer Boy, etc. The band also played those songs and much more. Strings played Jingle Bells. The christmas chapel was an amazing performance. December 15, 2014 in Redwood Community.